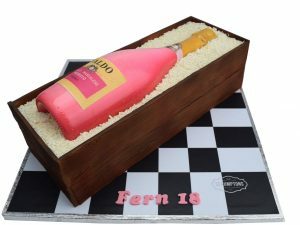 Ideal Cake for any James Bond fan! 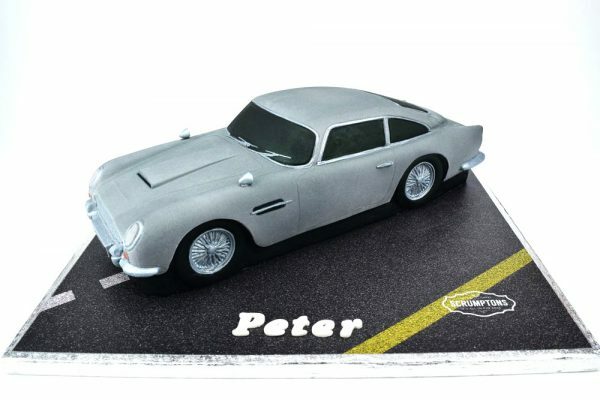 This Aston Martin DB5 cake makes the perfect cake for any birthday party, serving 20-25 people. 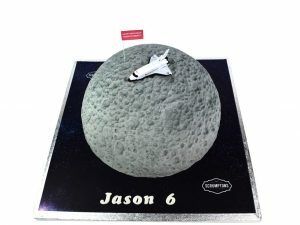 Looking for a birthday cake for a James Bond fan? 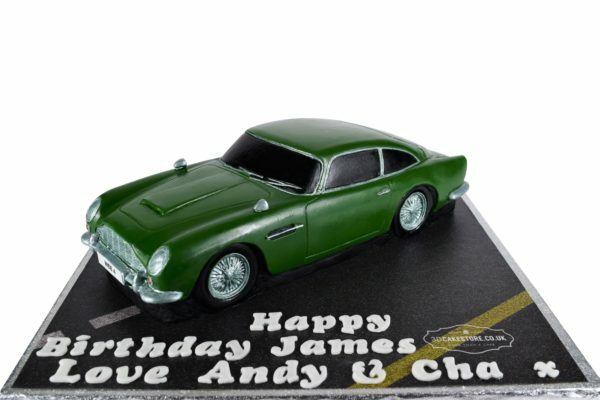 The DB5 Aston Martin Car cake is the perfect choice! Serves 20-25. 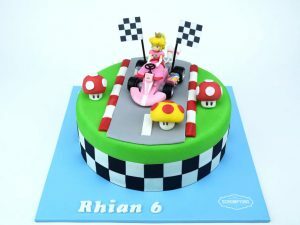 3D car cake shown on 14″ board. Available in a choice of flavours & fillings. Free personalisation & nationwide delivery available.